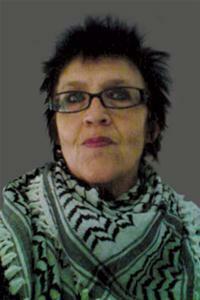 Botwell ward Councillor Janet Gardner has issued a warning to local flytippers in response to the continued flytipping and rubbish dumping in the area. The current Council process requires Councillors and members of the public to inform the Council of the locations of where rubbish has been dumped, but this does nothing to catch the culprits or prevent them from simply dumping their rubbish again. 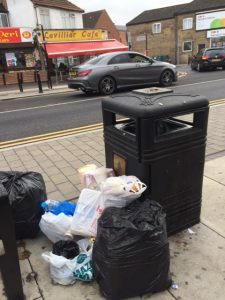 Councillor Gardner has called on the Council to go through the rubbish every time it is reported to identify who it belongs to, and then take swift action against the culprits. The current system, unless it is strictly enforced allows for residents and shopkeepers to simply continuing to throw their rubbish in public places with no threat of repercussions. 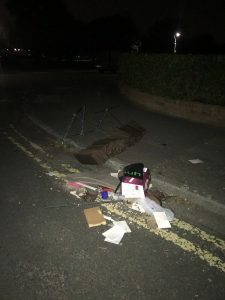 Photos taken by Councillor Gardner show just a few examples of flytipping in areas such as Hayes Town and residential areas surrounding the town. Labour Councillors in Hillingdon have previously raised the issue of flytipping in the Borough, with little action being taken to get to the root of the problem. “I live in the area and I am always around, so I will do what I can with residents and the Council officers to help catch those who are responsible for polluting our streets with their rubbish, and when I do I will name and shame them publicly.